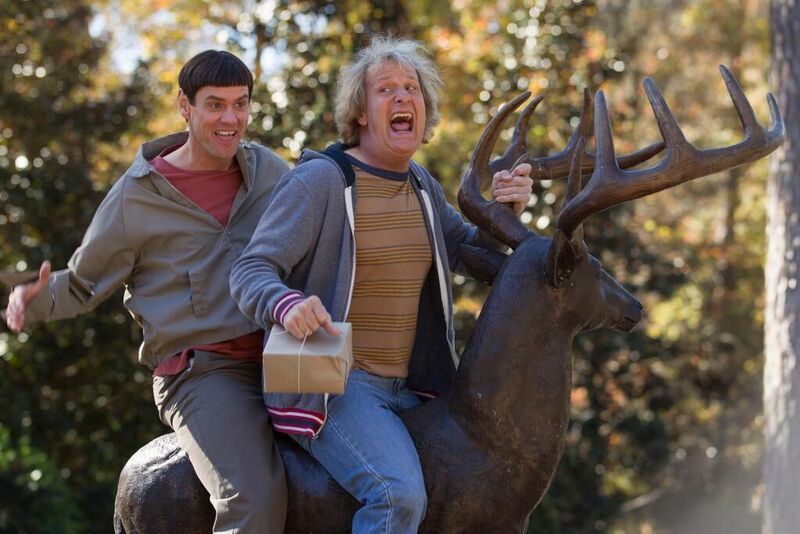 Popdose Giveaway: Win a copy of "Dumb and Dumber To" on Blu-ray! 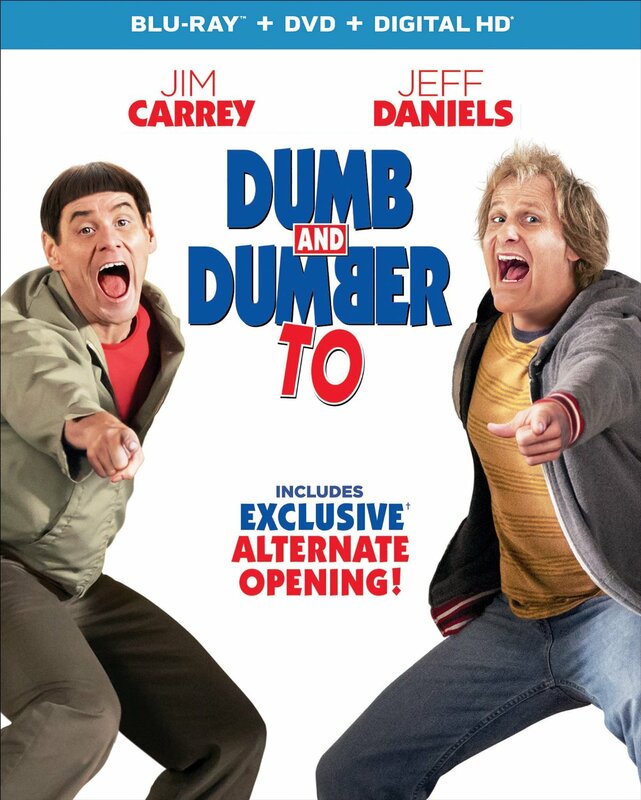 Popdose Giveaway: Win a copy of “Dumb and Dumber To” on Blu-ray! Enter for a chance to wing Dumb and Dumber To on Blu-ray! 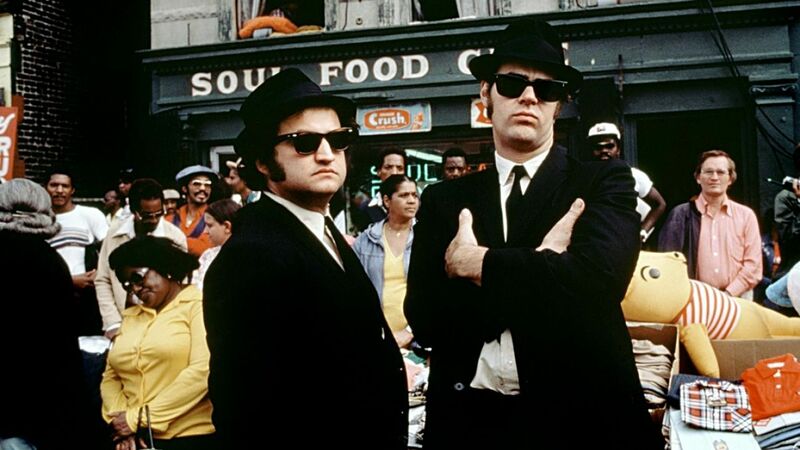 Inspired by their Blues Brothers musical act from Saturday Night Live, John Belushi and Dan Aykroyd are on a mission from God to bring the Band back together and save the orphanage where they were raised. Emerging from several deadly situations and an epic car chase in a race to get to Chicago, comedic legends Belushi and Aykroyd charm with the complete and utter nuttiness that ensues along their journey of one last good deed. The original slacker duo. 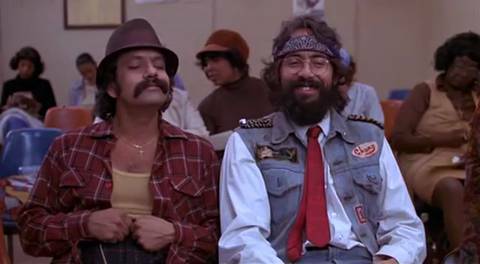 In their second film, Cheech Marin and Tommy Chong continued their string of hits by taking their pot-smoking alter egos on a series of crazy misadventures. There are songs, Pee Wee Herman, and an alien abduction. It all makes sense if you’re in the right state of mind. Starring Michael J. 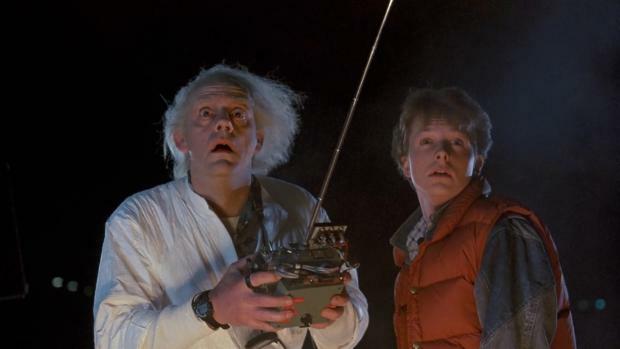 Fox as time-traveler Marty McFly and Christopher Lloyd as the zany Dr. Emmett Brown, this unlikely pair literally changed the future of the adventure genre. With on-screen chemistry so strong, Back to the Future launched one of the most successful franchises in movie history, including two theatrical sequels, an animated television series, a theme park ride, toys, comic books, video games and t-shirts. Who would have thought that the comedy pairing of Mr. 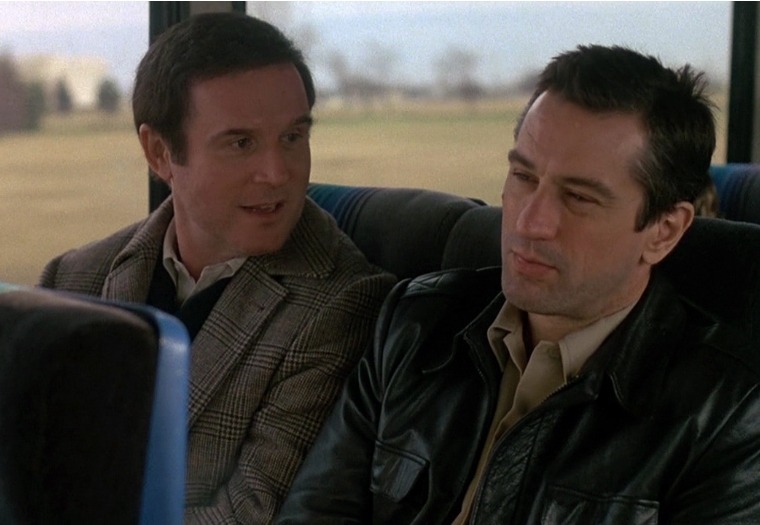 Method, Robert De Niro and ultra dry Charles Grodin would become a comic masterpiece. In Martin Brest’s film, De Niro stars as Jack Walsh, an ex-cop turned bails bondsman sent to bring in former mob accountant Jonathan “The Duke” Mardukas (Grodin). What should be a simple four-hour trip turns into a cross-country adventure and box-office gold. In this adaptation of Hunter S. Thompson’s influential book, Johnny Depp didn’t just channel the gonzo journalist, he became him. 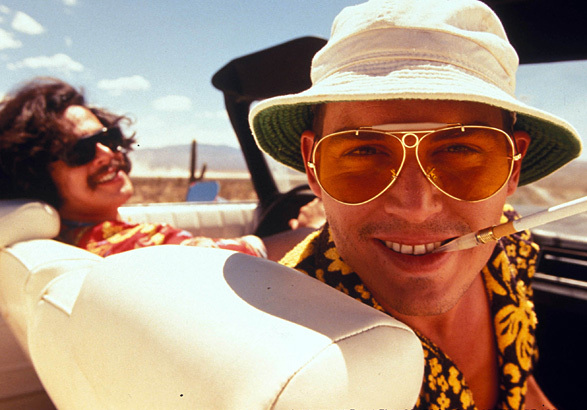 Portraying Thompson’s alter ego, Raoul Duke, the drug induced wild man streaks across the Nevada desert in a Chevrolet Impala convertible, accompanied by his attorney, Dr. Gonzo (an equally insane Benicio del Toro. Terry Gillaim’s hallucinatory film may not have been a box office hit, but it’s since garnered a cult status. The unlikeliest of pairs, Simon Pegg and Nick Frost team up as an exceptional former London cop (Pegg) and a not-so-exceptional small town cop (Frost) faced with uncovering a strange occurrence of murders in the small country village they’re determined to protect. While Frost has longed for the explosive, high-octane life he envisions Pegg braved in London, the two must come together to solve the “conspiracy” before it’s too late. Jim Carrey and Jeff Daniels return as everyone’s favorite dumbest duo, the unforgettable and often unredeemable Harry and Lloyd. Setting out on yet another cross-country trip, Harry and Lloyd find themselves in mishap upon misadventure, making what would appear to be a series of unfortunate circumstances into slapstick comedy. If nothing else, Harry and Lloyd were meant for each other until the end. Okay, okay, enough of the reading. You’re asking, “Dude, how do I win?” Chill out! Just answer the following easy trivia question and send your answer to Mr. Malchus (email: malchus@popdose.com). With the release of Dumb and Dumber To!, how many Dumb and Dumber films have there been? Deadline to enter is Tuesday, February 17th at 2:17 PM (PT). One lucky winner will be chosen and notified by email. Good luck! Don’t miss your chance to take home the sidesplitting comedy Dumb and Dumber To, available to own on Blu-ray & DVD February 17!